Shelf Indulgence is a book column from thriller writer, A.D. Garrett. Shelf Indulgence recommends two books per column, across a range of styles and genres, and a mixture of new and old. Jane Eyre was essential secondary school reading in my day, but times change. So why should 21st century readers want to read about an orphan girl growing up in early Victorian times? Dear Reader, read on . 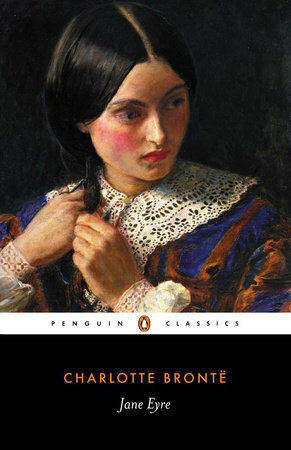 . .
Of its time, Jane Eyre was daring, innovative, and even contentious. The first section was among the earliest written from a child’s viewpoint, and Brontë completely immerses the reader in Jane’s world. Though ‘poor, obscure, plain and little’, Jane is loyal, kind, brave, and steadfast, with a great heart and an indomitable spirit. Though diffident, she has an immutable sense of justice, and she adheres to her morals even when it puts her in physical peril. Cast off by her embittered aunt, she survives the brutal regime of school for orphans and at eighteen becomes governess to the ward of Mr Rochester at Thornfield Hall. What follows is often termed a Gothic romance, though Jane Eyre could not be a more unconventional heroine. It is also a supernatural tale and a satisfying mystery that still has the power to delight and thrill. Who is the sinister Grace Poole, who creeps about at night, setting fires? What hold has she over Mr Rochester? An important influence on my own writing, every reading of Jane Eyre provides something new to admire, chief of which is Brontë’s ability to make the reader feel deeply for her characters. Atwood is famed for her award-winning novels, but she is also a poet, academic, and a brilliant essayist. In 2000 she delivered the Empson Lectures at Cambridge University which, edited, became as a series of essays in Negotiating with the Dead. The book is divided into six chapters – each devoted to one aspect of the Writers’ Life (‘If that’s not an oxymoron,’ Atwood quips). She references other writers widely, from Dante and Chaucer to John Irving and Elmore Leonard, all with a refreshing absence of literary snobbishness. 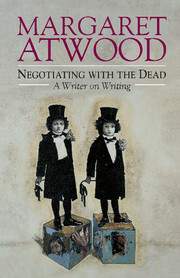 Atwood has perfect pitch when communicating with her readers, and while Grimm’s fairy tales and Mesopotamian myths also feature, the whole is nicely balanced by anecdotes and pithy observations from her own experiences. Told in her witty, sometimes laconic, style (I can hear her voice in my head as I read!) what emerges is part memoir, part essay, and completely absorbing.